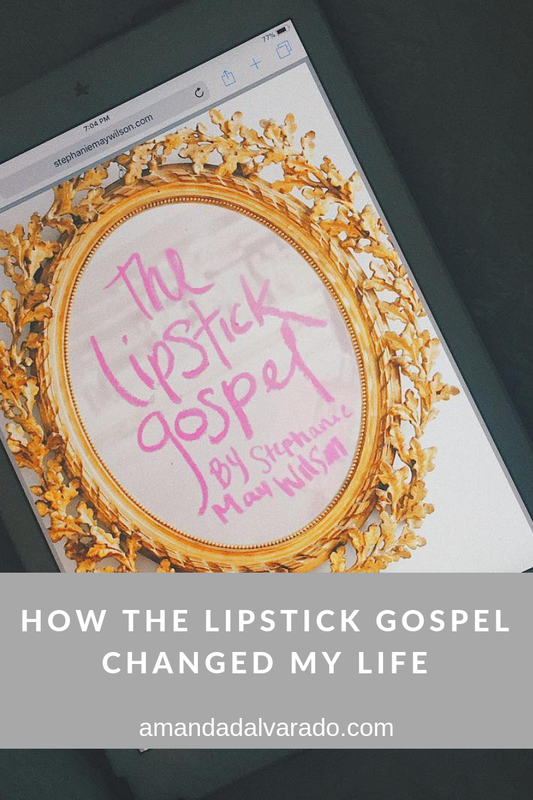 A few months ago, I read The Lipstick Gospel by Stephanie May Wilson and it totally changed my life. I think we all go through a phase, especially during a transition in our lives, where we feel kind of lost. Maybe we aren't exactly sure who we are; maybe what we thought would be the a dream job turned out to have a lot more issues than we realized; maybe we don't know how we ended up in a certain situation; maybe life just seems dull. I was going through that a few months ago. There wasn't anything super serious happening in my life. There wasn't anything really bad going on. Things were good. Sure, maybe some parts weren't ideal, but life isn't always perfect, you know? I was just in a weird place. I don't remember exactly how I found Stephanie, but I ended up downloading her book, The Lipstick Gospel. The book was just sitting on my iPad for a few weeks because I was just so busy and didn't really have time to sit and read, but one day, I got off work early. I got home and ate some lunch, but was just feeling really run down. I knew I needed some "me time," so I headed to the nail salon for a pedicure. Getting your toes done while sitting in those massage chairs is just so good for the soul. 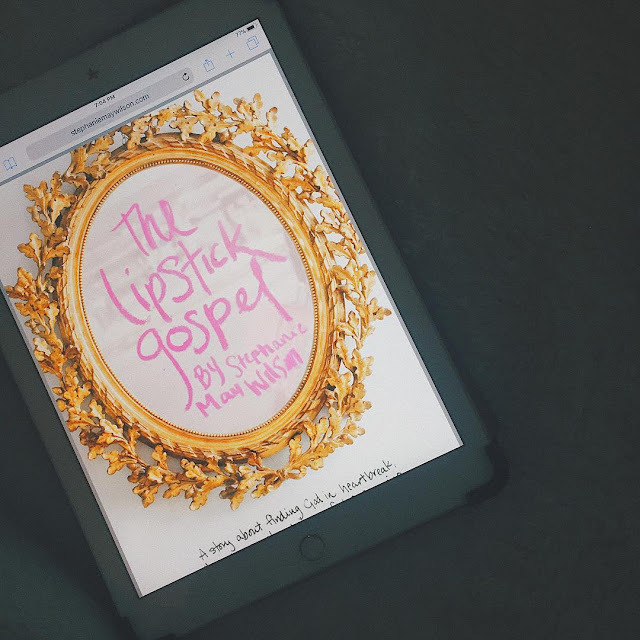 Instead of scrolling through Instagram, I decided to bring my iPad and start reading The Lipstick Gospel. It's just like God knew that I needed it. I didn't finish it at the nail salon, but when I got home, I sat outside and kept reading. There's definitely something about nature and reading that just makes my soul so happy. I won't give the whole book away, but it talks about her experience and how she became a Christian. In this book, Stephanie invites you into her life and shares her experience. I finished that book later that day and it was just like Jesus knew that I needed that day and I needed to read that book. As I was reading, I felt like I was listening to a friend tell her story over a good cup of coffee. That book reminded me that God loves me tremendously and that He in in control of my life. I was reminded that He has the best in store for my life. I learned to cherish friendships. Having good girl friends is so important and to have community is something we all need. I wasn't going through heartbreak, but heartbreak of any kind - an ended relationship, a job you didn't get, the closing of a chapter in your life - is all temporary. I learned that traveling is so important. I learned that when I'm willing to go all in and trust God with my life, He will do incredible things with my life. Reading this book also just kind of sparked a "revival" in me... if you will. It reignited my relationship with God. It made me realize what is important in my life and how I want to live. If you're looking for something to read, I really recommend this book. Like I said, Stephanie makes you feel as though she is right there just talking to you; like a close friend.